Today’s card is all about the patterned paper. It’s bright shades of painted Raspberry Ripple highlighted with a Basic Black whimsical stripe. 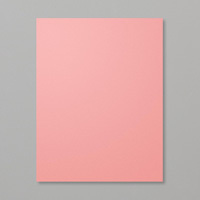 Every design in the Share What You Love Designer Series Paper is stunning! The patterns range from softly shaded florals to this whimsical stripe. The creative possibilities are endless. The “Thank You” sentiment is from the “Love What You Do” stamp set which coordinates beautifully with the DSP. The sentiment is bold and clean. My Basic Gray flagged banner is a piece from the Memories and More Card Pack. The Tailored Tag Punch gave me my sentiment layer and I added a few thin strips of Basic Black card stock to the back of my sentiment layer to frame it and add a little dimension. The white enamel dot embellishment adds a little something, don’t you agree? So, grab your favorite patterned paper, add a bold sentiment layer and create something fun! Just a few days left to take advantage of Stampin’ Up!’s Designer Series Paper Sale! JOIN the Stampin’ Up! 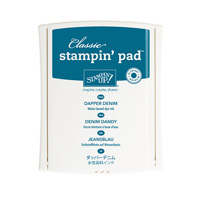 Family and get your selection of fresh, new ink pads, FREE! Today’s card is fun, bright and bold, and I just adore the sentiment font! 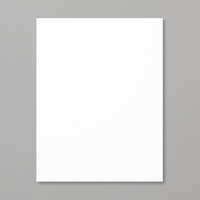 I thought this would be a refreshing sample of the “Garden Impressions” Designer Series Paper in action. Some of Stampin’ Up!’s new colors are also featured in this pattern. I’m loving the new Mango Melody paired with Melon Mambo and I can’t think of a better backdrop for these beautiful shades than our classic Night of Navy. 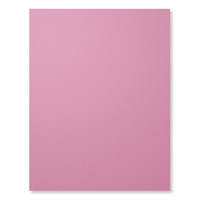 Cut a standard A-2 card base in Whisper White (4 1/4″ X 5 1/2″). Add a layer of Mango Melody (4″ X 5 1/4″). The patterned paper layer is 3 3/4″ X 5″. The sentiment layer is Whisper White cut 2 3/8″ X 2 1/2″ mounted on a Mango Melody layer that measures 2 1/2″ X 2 5/8″. The “Thank You” sentiment is from the new Abstract Impressions Photopolymer Stamp Set. The sentiment fonts in this set are large, bold and express lots of kindness. The flowers on the sentiment block were snipped from one of the Dies from the Springtime Impressions Thinlit Dies. The large Die is beautifully detailed, and if you look closely at the Die, you’ll see that you can snip several different flowers. And, of course, I had to add the bling! Just one sequin is all that was needed. The stamp set, Dies and Designer Series Paper are all part of the new Garden Impressions Suite. Click here to get more details on the Garden Impressions Product Suite. So, grab some Designer Series Paper, your favorite bold stamp, crop a few layers and create something impressive! SHOP MY ONLINE STORE AT STAMPIN’ UP! Designer Series Paper Sale Now through July 31st – Buy three get one FREE. Sale-A-Bration – So Very Much! Happy Weekend! It’s Saturday and snow has been falling all day here in New Jersey. As I write this post, it’s still coming down. It looks beautiful, but I’m not liking the cold. Anyway, it was a good day to stay home, enjoy my stamps, and enjoy the view of the snow falling. I thought I would create a few thank you notes with the new “So Very Much” stamp set. Below is the image of some additional samples from the Sale-A-Bration Brochure. The stamp is pictured mounted on a wood block. It also comes in Clear Mount, which I personally find easier to use. 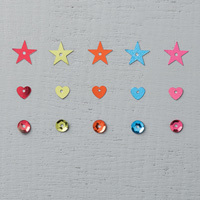 Remember, this stamp set is FREE with a $50.00 product purchase during Sale-A-Bration. The “Thank You” sentiment is just lovely… I really like the font and its size is perfect for a standard A-2 card. I stamped all three cards in just a few minutes. It’s always good to have a few nice Thank You Notes ready to send. If you look closely at the cards I made, they’re all different. The first one, layered and stamped with Sweet Sugarplum card stock and ink, is nothing more than the stamped sentiments and a few sequins. The second, done in Dapper Denim card stock and ink, has a little splatter behind the sentiment. I used one of the stamps from Gorgeous Grunge, stamped it off once, then stamped it lightly over the sentiment. It gives the card a different look. I stepped it up for the third one and used both the sequins and “splatter” stamp. This one is stamped with Flirty Flamingo ink and layered with Flirty Flamingo card stock. So, grab your lovely “thank you” stamp, add a layer, a little splatter, and make a bunch to keep on hand! Oh, and don’t forget the bling! CLICK HERE TO SHOP MY ONLINE STORE AT STAMPIN’ UP! Lift Me Up and Away! What a fun Bundle this is! The new “Lift Me Up” Bundle from the Occasions Catalog includes the Lift Me Up stamp set and the Up & Away Thinlits Dies. Buy the Bundle and save 10%. The Lift Me Up stamp set includes 16 stamps which can go from Happy Birthday to Congratulations to Valentine’s Day, Wedding, Engagement, or just to say “Hi”. There are 15 Thinlits Dies that coordinate perfectly with the stamps. It was so easy to create the dimension in this card… no fussy cutting, just a few stamped balloons and a quick swipe through my Big Shot. I needed a quick thank you for a new member who joined my team, and this card is just perfect… she loves balloons! The top Night of Navy layer is 3 1/8″ X 4 3/8″. Attach to the card with Stampin’ Dimensionals…. I use the Dimensionals on almost every card I make. 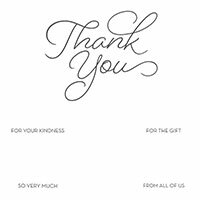 Stamp the “Thank You” sentiment in Night of Navy onto Whisper White card stock and attach it to the bottom right corner. That’s it! In just a few minutes, you’ll have a beautiful simple thank you card. Purchase the Lift Me Up Bundle at the 10% savings for $45.75. 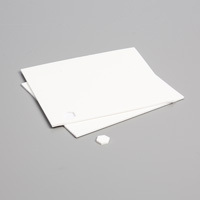 Add a package of Note Cards and Envelopes (item #131527 in the Annual Catalog on p.176). Your order totals $51.75 which qualifies you for any item from the Sale-A-Bration Brochure, FREE. I would recommend the Carried Away Designer Series Paper which coordinates perfectly with this stamp set. You’ll be enjoying creating so many wonderful projects and cards for a variety of occasions for just $51.75. Now, that’s a Sale-A-Bration Win-Win! And, don’t forget, Sale-A-Bration is absolutely the best time to join Stampin’ Up! as a Creative Coach. There are no strings attached… you get $125.00 work of products that you choose for $99.00 plus FREE shipping and you get two free stamp sets. I’m always available to answer any questions you might have… just e-mail me at [email protected] I’ll get right back to you. I always have fun creating 3′ X 3″ note cards. What a nice little “thank you” gift for holiday giving! And, I’m using the same Product Suite of supplies I used in my last post. It’s true that just a little can go a long way! Assembling these little cards is so easy. You can make a bunch, group them in threes or fours, package them up and give them to anyone to express appreciation, keeping with the holiday “giving” season. They’re nice to give now so they can be used as holiday gift cards. How about making a bunch and giving them to your family and friends at Thanksgiving! Pick out your favorite stamp and coordinate it with your favorite patterned paper. Here, I used the “Christmas Pines” stamp set, along with the Presents & Pinecones Designer Series Paper. For a little embellishment, I wrapper the card layer with some Cherry Cobbler Thick Baker’s Twine. Inside each card, I added a 2 3/4″ Whisper White layer. That’s it. You can make a bunch very quickly. Now for the packaging – oh so easy using a coordinating piece of DSP, the Mini Treat Bag Thinlits, and your Big Shot. Three or four note cards and envelopes fit perfectly inside. I used the 3/8″ Silky Taffeta Ribbon in Emerald Envy to close up my mini treat bag, and created a little sentiment tag and embellishment with my 1 3/4″ circle punch, a 4″ piece of ribbon and I hand cropped the Cherry Cobbler and Whisper White banners for the “celebrate” sentiment. Quick, Easy and a sweet, thoughtful gift to give someone. So, grab some card stock, a pretty piece of patterned paper, your favorite sentiment – add a pretty bag and create a pretty gift for your special Thanksgiving thank-you! Check back tomorrow for a Sneak Peek from the up-coming Occasions Catalog. My name is Debbie Crowley and I live in Central New Jersey. Although I very much enjoy card making, I am fond of cooking. I am "Mom" to two adult children, Alison and Denis and enjoy visiting with my two grand dogs, Buddy and Lucky. It’s my pleasure to share my paper crafting with you for your enjoyment and inspiration. All of the content on this blog is my sole responsibility and the use of and content of the classes, services, or products offered is not endorsed by Stampin' Up!